Ok, I need to let off some steam here. Today I found out that my 8GB Nintendo WiiU console has only 4GB of actual HDD space available, because of the mandatory system patches that are needed to run the console. I admit I probably should have paid more attention and researched the web before I bought the console, it being my secondary gaming system I simply got it when it was on sale. 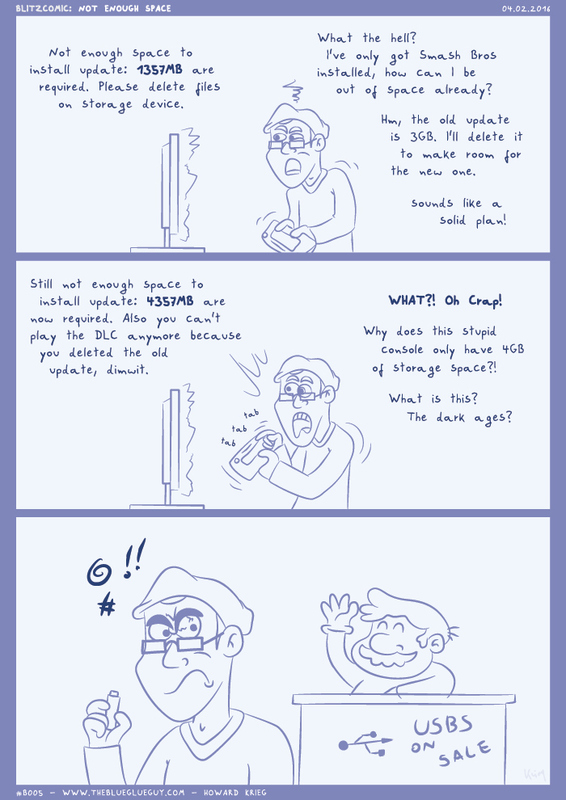 However, for a game giant like Nintendo to develop a console which has less than 50% of its initial storage space left after having installed all the system updates strikes me as a very questionable design choice. As it turns out “Super Smash Brothers” is the most expensive game I have purchased in quite a while.